Crowdfunding was the somewhat surprising subject of a speech by Federal Reserve Governor Jeremy Stein on Monday. 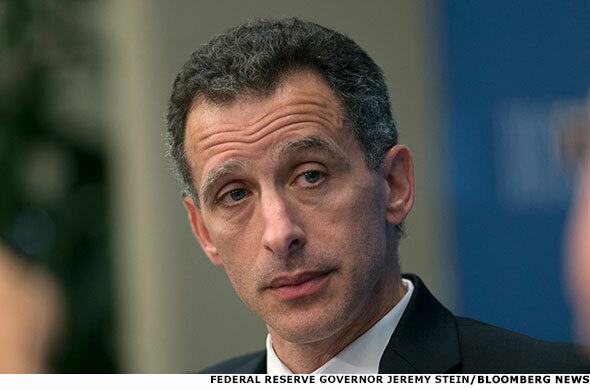 NEW YORK (TheStreet) --Crowdfunding was the somewhat surprising subject of a speech by Federal Reserve Governor Jeremy Stein on Monday. In a short speech before the Crowdfunding for Community Development Finance Conference in Washington D.C., Stein cited a couple of examples of crowdfunding helping communities, despite the fact that, as he put it, "to the extent that most people know about crowdfunding at all, they may associate it with tech startups or independent movie production." One example Stein cited is Fundrise, which he described as "an investment platform for commercial real estate that gives individuals the opportunity to invest directly in neighborhood businesses." He also pointed to bonds created by the Calvert Foundation that are called Community Investment Notes. Citing data from Calvert, Stein noted the "13,000 individual investments have collectively helped to create 430,000 jobs for low-income individuals, built or rehabilitated 17,000 affordable homes, and financed close to 26,000 nonprofit facilities and social enterprises." Stein acknowledged many of his listeners might be wondering "Why is the Fed interested in this topic?" He responded that the regulator likes to keep an eye on financial innovations even in areas "where we do not have a direct regulatory role," to keep an eye out for potential benefits and pitfalls.